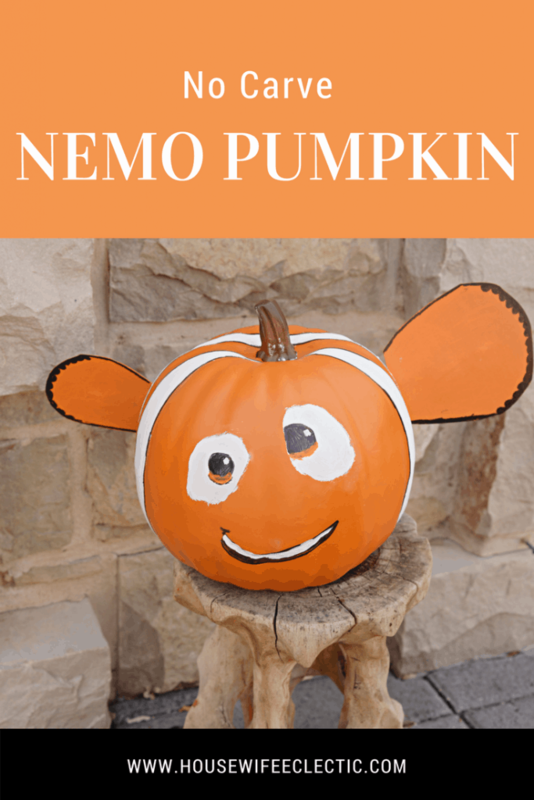 If you have a little kids, then I am sure you are familiar with Nemo. 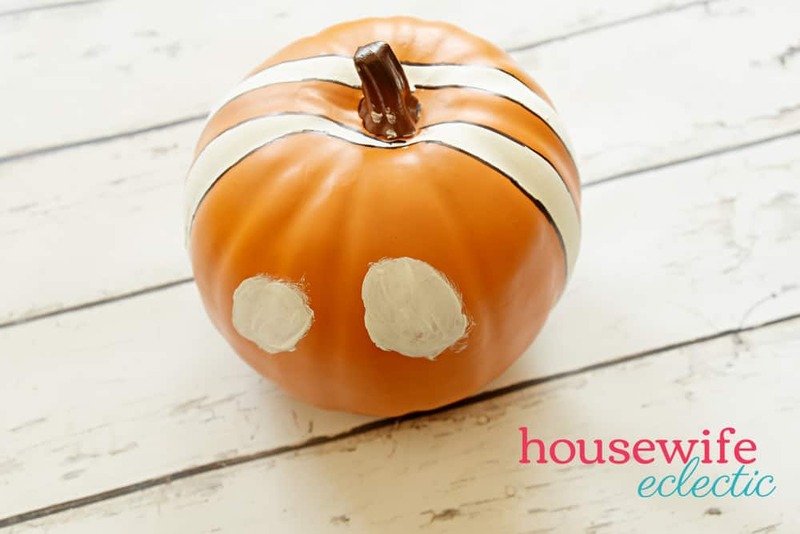 He is everyone’s favorite clown fish from his adorable stripes down to his lucky fin, and because he is already orange, he is an incredibly easy no carve pumpkin to make! My daughter loves Finding Nemo and Finding Dory, and she was so thrilled with this one. Start by taping off the center stripes. You will want it to look similar to the picture below. 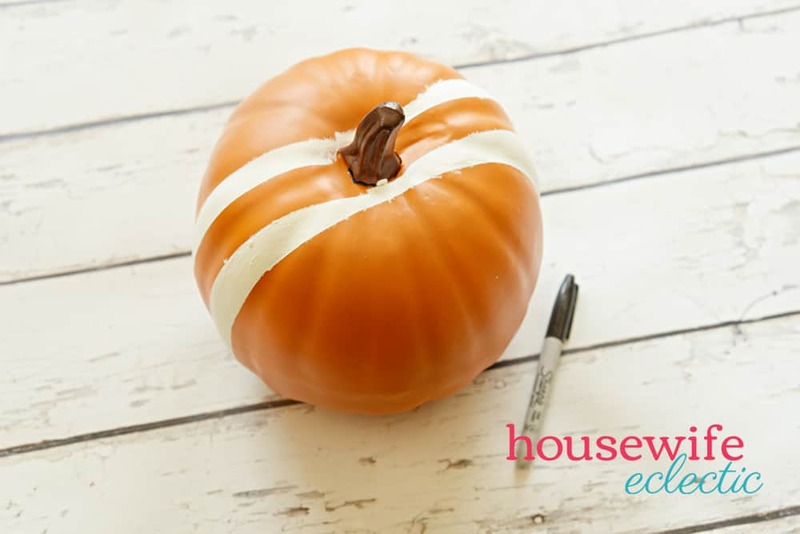 You will be painting in between the tape white, so make sure to tape all around the pumpkin for complete stripes. 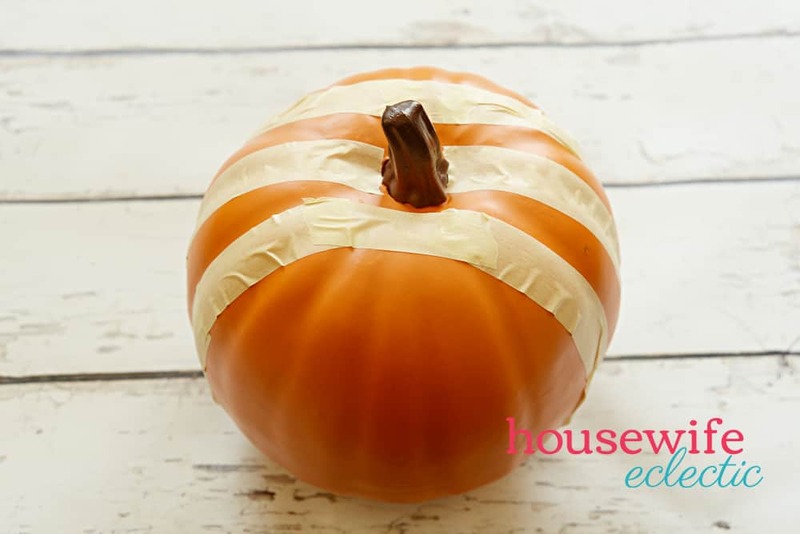 Fill in the spaces between the stripes with white paint and then allow them to dry completely. When they are dry, remove the tape. Use a black marker to outline the white stripes in black just like a clown fish. 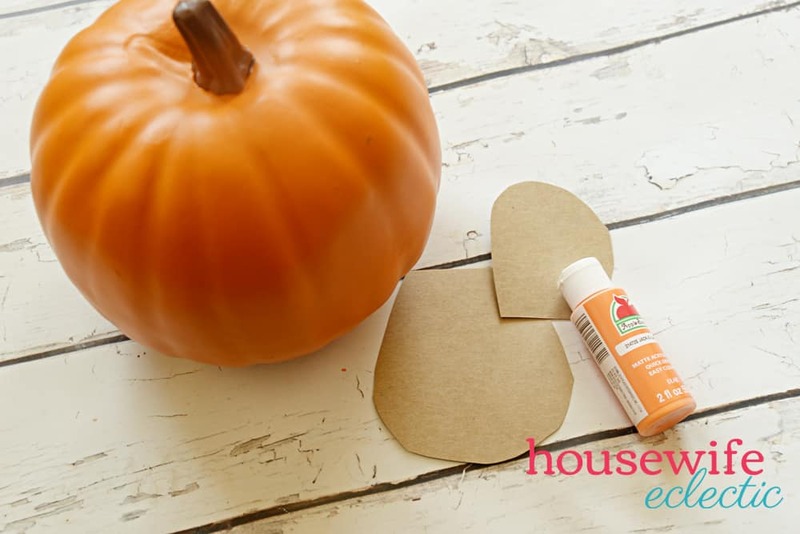 Add to large white ovals kind of off set from each other on the face on the pumpkin. When the eyes are dry, add the black and orange parts of the eye and a little mouth. Cut two archways out of a cereal box. One needs to be slightly bigger than the other. These will become the fins. Paint the front and back of each arch orange. 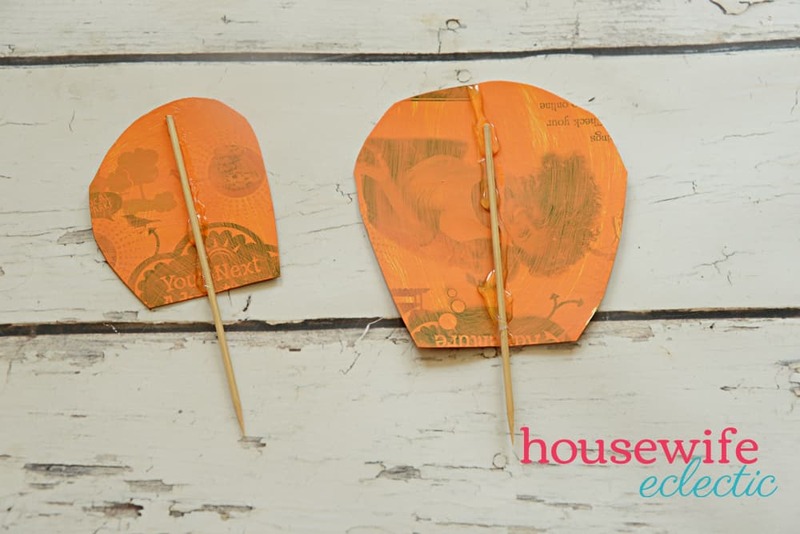 After the fins are dry, add a line of hot glue to each fin and secure a small bamboo skewer to each fin. You can use a black marker to color the edges of the fin if you want to. Add the fins to both of the pumpkin by piercing them through the sides. Place your darling pumpkin on your porch! 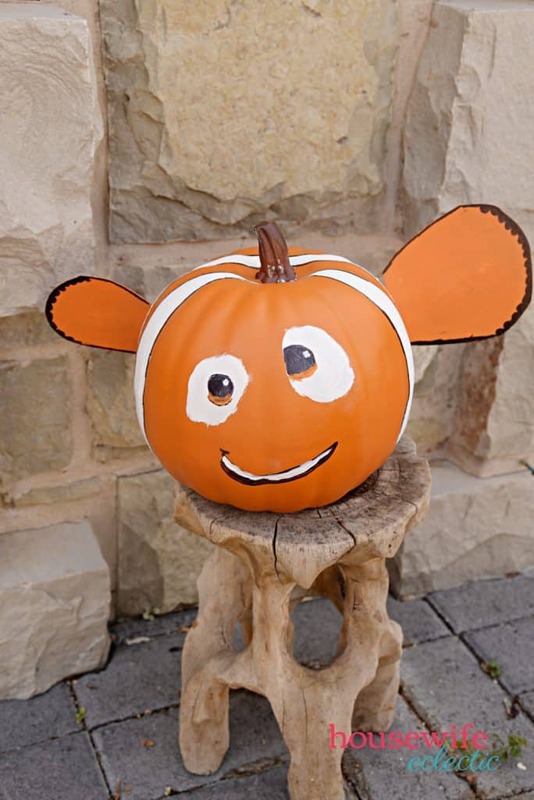 This Finding Nemo pumpkin can be made with real pumpkins or foam ones so you can store them and display theme every year! What Disney pumpkins would you make?